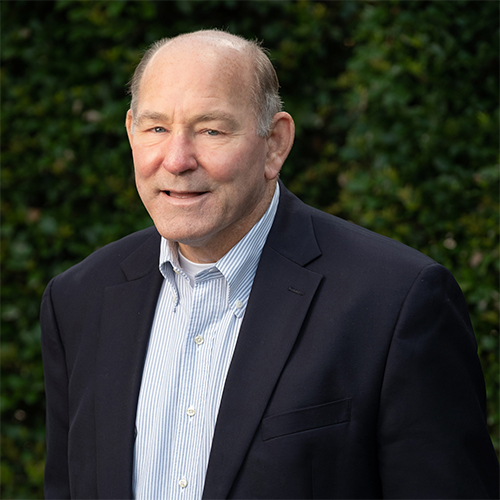 Frank Pierce | Mikels & Jones Properties, Inc.
Frank joined Mikels and Jones Properties as a Broker in 2018 after working as the Director of Advancement for St. David’s School. Frank previously worked in the financial services industry for over 35 years with Merrill Lynch, Carolina Securities, Wells Fargo and its predecessor companies First Union Bank and Wachovia Bank. Frank last served as Regional Director and Vice President for Wells Fargo Institutional Retirement and Trust for the central and eastern NC region. Frank has lived in the Raleigh area since the late 1970’s, and his experience also includes real estate and commercial lending, wealth and investment management, and marketing, structuring, and due diligence for public and private real estate investment partnerships. Frank utilizes his knowledge of the triangle market, finance, and investments to assist clients with real estate opportunities. Frank earned his BS and MBA degrees from the University of North Carolina at Chapel Hill. He has been involved in many community activities including teaching youth Sunday school at Capital Community Church, serving as a Boy Scout leader, coaching youth sports teams, and is a past President of the St. David’s School Warrior Club. Frank and his wife, Renee, have one son, David.